Bobbi Krstina Brown is heir to a $20 million inheritance fortune and the Houston and Brown families, as well as Nick Gordon, want it. There have been a lot of new updates in the Bobbi Kristina Brown case, including the fact that Nick Gordon may have played a criminal role in actually causing her current state. We hear that Bobbi was addicted to drugs [allegedly crack and heroin], that Nick knew about this and probably helped facilitate her drug addiction, and that Nick and Bobbi got into violent physical altercations on a regular basis. We also know that Bobbi and Nick got into a fight one hour before she drowned in a bathtub, and that Nick reportedly cleaned up the blood stains and any remaining evidence from their fight. Bobbi Kristina Brown also has suspicious injuries and police are conducting a criminal investigation with Nick Gordon as the prime suspect. In other words, Nick Gordon looks incredibly guilty, and as such, it makes sense that Bobbi’s family is banning Nick from visiting her in the hospital, right? Wrong. Yes, the family – including Bobbi’s father, Bobby Brown, and grandma Cissy Houston – are banning Nick from seeing his wife in the hospital. But at the same time, their reasons for banning him probably have little to do with the fight or the fact that Nick might have inadvertently caused her death. No, they’re banning him because they’re all after Bobbi’s $20 million inheritance from Whitney Houston, and they know that as Bobbi’s husband, (legal or de facto) Nick Gordon is the one with legal rights to go after Bobbi’s money. I mean, let’s look at this objectively. Most of Bobbi Kristina Brown’s family has been conspicuously absent from her life for the past three years after Whitney Houston’s death. They’ve been AWOL while Bobbi has clearly been spiraling out of control, allegedly going into depression and turning to drug addiction, losing weight and becoming a crackhead. Where were they when Bobbi actually needed them or could benefit from their help? And now, when it looks like she might die and leave them her inheritance, the entire family – including cousins that have probably never even spoken to Bobbi in years – suddenly turn up at the hospital, all because they’re supposedly ‘devastated’ by Bobbi’s current state. The family appears to be filled with a bunch of hypocrites who would never admit that they’re just after Bobbi’s money. But keeping Nick Gordon away serves several purposes for them, primary amongst these is preventing him from going after Bobbi’s inheritance. Bobbi Kristina Brown Criminal Investigation: Nick Gordon Suspected of Foul Play – Max Lomas Eyewitness? 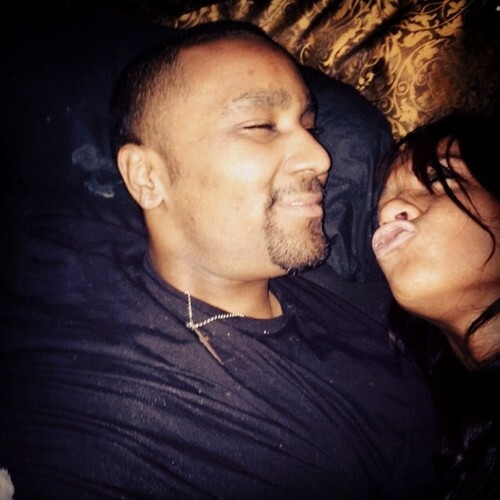 Bobbi Kristina Brown Suicide Attempt or Drowning: Nick Gordon’s Jealous Rage – Criminal Charges as Investigation Progresses? Bobbi Kristina Brown $20 Million Inheritance Battle Looms: Will Nick Gordon, Cissy Houston, or Brown Family Get The Money?